A bonus episode this week to get the word out about Banting's Ghost. Stephen Richert is a photographer and film maker who was diagnosed with type 1 at age 16. His website and project Living Vertical is a way to document his adventures and share his family's story. Now, Stephen is working on a new project: documenting the insulin access crisis in America. Named after Sir Frederick Banting, one of the researchers who discovered insulin in 1923 and sold his share of the patent for $1, Banting's Ghost is a way to document the people who are struggling. Stephen is looking for funding - you can learn more and donate here. The deadline for the first phase of funding is June 30th, which is why we're pushing out this bonus episode. If you’re hearing this episode after June 30th, please check out the links anyway to stay up to date with the project and how you may still be able to help. DiaTribe editor & columnist Adam Brown is the author of Bright Spots & Landmines, the diabetes guide "I wish someone had handed me." Adam talks about his diagnosis as a teen, why he decided to write the book and what topics were more difficult for him. Plus, what's Dancing 4 Diabetes? Elizabeth Forrest started this event when she was diagnosed at age 10. Eighteen years later, it's turned into a year-round event that's helping educate and raise awareness. Lots of news from Dexcom recently! Stacey talks with retired Chief Technical Officer Jorge Valdes about the Apple Watch announcement and much more. (This interview took place just before the FDA approved Dexcom G5 for Android, but that news is covered in the episode). Stacey shares her personal connection to DHF and mentions this Big Blue Test video that she and her son made a few years ago. This summer, 20 people with type 1 diabetes will make an incredible journey. From June 3 to August 11, Team Bike Beyond is crossing the USA, cycling from New York to California. This week, meet the man who asked Beyond Type 1 to take a chance on the event, and the woman who said yes. Stacey talks with cyclist Walt Drennan and Beyond Type 1 CEO Sarah Lucas about how the idea for the trip came about, the work that went into launching the ride and what they hope to accomplish along the way. Each week during Bike Beyond, Diabetes Connections will bring you stories from the ride and profile a different cyclist. They're not professionals, just people with type 1 who wanted to take an extraordinary challenge. (There are actually 20 riders and one D-Mom along on this journey). Stacey also shares a bit about the end of the school year & how the first year of middle school went for her son. 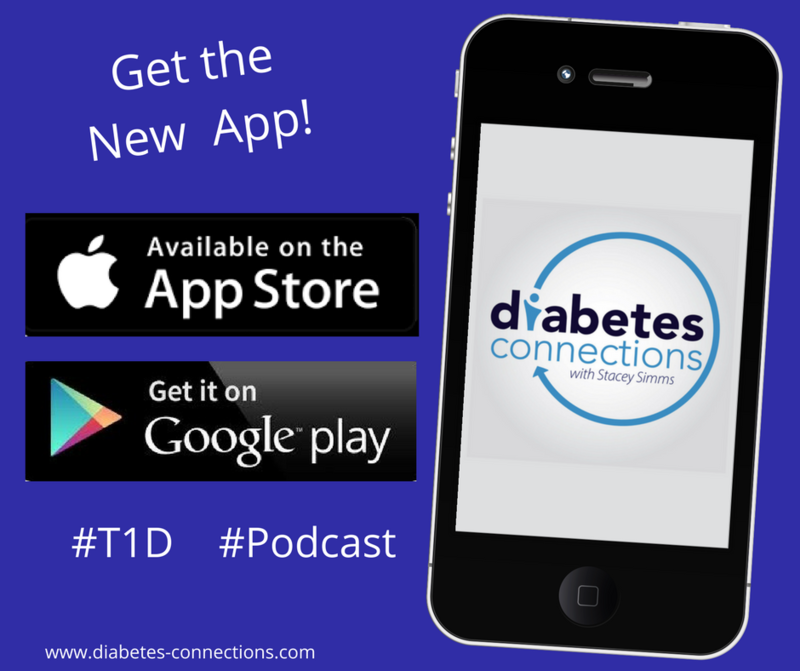 Plus, we talk about the summer diabetes conferences on the calendar like ADA, Friends for Life & AADE.